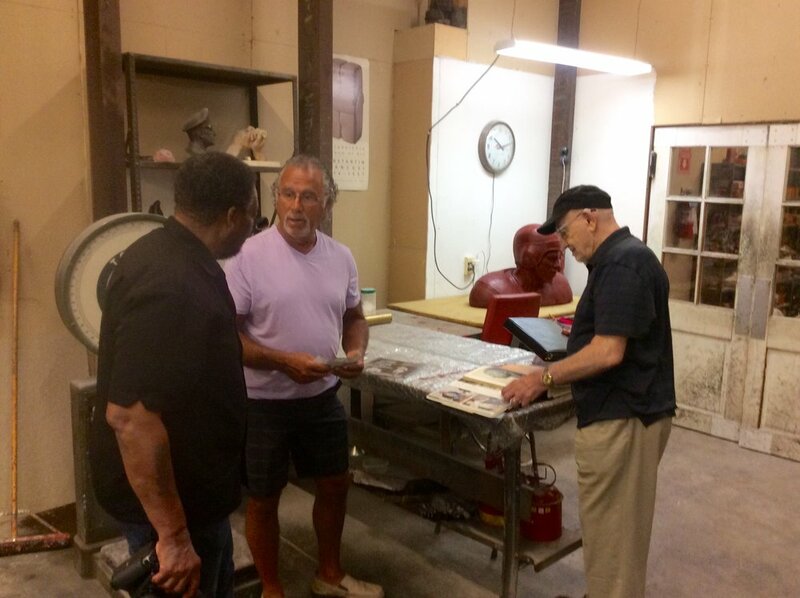 Artist Jennifer Frudakis-Petry came to the foundry today to inspect the wax of her seven foot sculpture. Emlen Tunnell, (March 29, 1925 - July 22, 1975) was the first African American to play for the New York Giants, served during WWII, and also played for the Green Bay Packers. Jennifer arrived with committee members and a photographer.